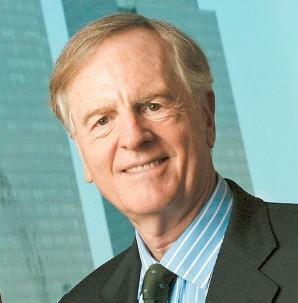 Jobs originally convinced Sculley to leave Pepsi with the famous line: "Do you want to sell sugar water for the rest of your life or do you want to come with me and change the world? He was brought on for his marketing experience because Apple's board of directors reportedly viewed Jobs as too young to be CEO. "[Jobs] and I spent months together getting to know one another, probably almost five months. Weekends. Id go to California, hed come to New York, and so forth. And in those discussions, I was trying to teach him what I had learned at Pepsi about marketing," the former CEO said. "One of the key insights we learned was that you dont sell the product, you sell the experience." "So, that was a major disagreement between us. I said if you try to change that on your own, then I have no choice but to go to the board, and we need to bring this issue up with the board. And he didnt think I would do that. And I did," Sculley said. "To be quite honest, I didnt appreciate coming out of corporate America, because remember people get moved around all the time in corporate America, I didnt appreciate what it meant to a founder, the creator of the Macintosh, to be asked to step down from the very division that he created to leave the very product that he believed was going to change the world," he said. "So Steve was never actually fired from Apple, but he was demoted from the role of leading the Macintosh division and then he went off on sabbatical and then he eventually resigned from the company and took a number of key executives and started NeXT Computing," Sculley told Greelish. "So, thats the actual facts," he said. "I think [Jobs' biographer] Walter Isaacson delved into that in his book and talked to many different people on the Apple board, and actually corroborated that story." "We [Apple] had just released our finest creation  the Macintosh  a year earlier, and I had just turned 30. And then I got fired. How can you get fired from a company you started?" he quipped. "Well, as Apple grew we hired someone who I thought was very talented to run the company with me, and for the first year or so things went well. But then our visions of the future began to diverge and eventually we had a falling out. When we did, our Board of Directors sided with him. So at 30 I was out. And very publicly out."